Yo, puppers. Or should I say HO HO HO, puppers. Did you know it's only 112 days until Christmas? Only 112 more days until GIFT BAG day. Oh, how I love diving into a gift bag full of tissue. The reason why we were counting the days in the first place is that my Nonnie and Pop are coming to meet met this Christmas and mom was wondering how much time she has to get my manners in tip-top shape. Not that there is alot to improve on. But I digress a little bit. When we counted days we realized it's coming fast. For those of you with lots of people on your list every year ... don't anybody panic! Did you know we have a store? Anywoof, if you go to our store and type in NEVERTOOSOON when you check out, you will get 40% off any of our key chains between now and the end of the month. 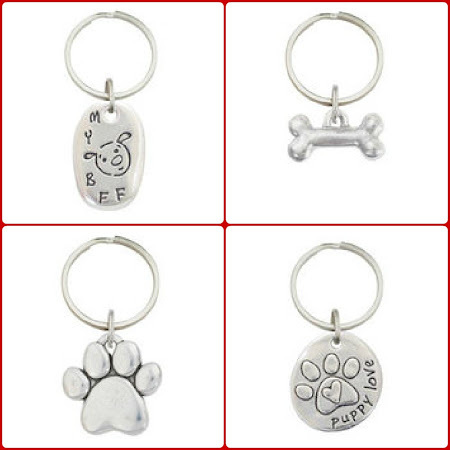 If keychains don't help you scratch anybody off your list (pet sitter, anyone??) not to worry. 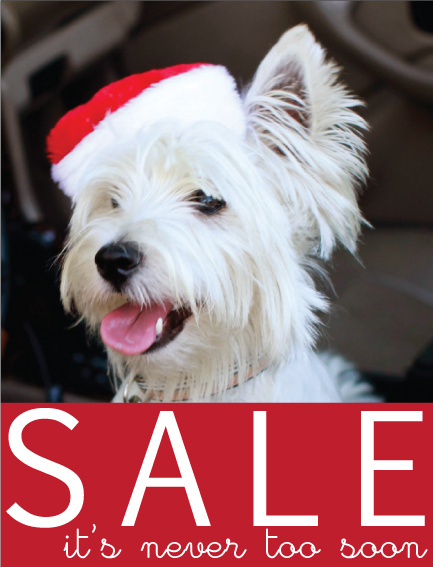 We'll have more coupons between now and the holidays. It's never too soon to start your shopping, puppers. It's just never too soon! A time limit to get manners? Don't stress out!! OK, we will check the store. Oh, now you have some fun stuff at your store!! Manners?? You have PERFECT manners, right? Those are some CUTE keychains, I'm gonna send Ma over to your store (oh, don't get her started on coupons and coupon codes ~ the woman is obsessed!). Thanks for the heads-up! I am sure they are going to be amazed with your good manners! I did not know about your store. Me and my mom are going to check it.... now! Oh no! 112 days before we have to pose in our Santa hats! UGH! We're off to check out your store, Duncan! Thanks for letting us know about your store! We do know about manners...sometimes we choose to use our manners...and sometimes...well not so much! Did you say shopping?! My human loves shopping!